We have a great deal to make savings at Giant. Thru 1/17, Hershey’s Gold Bars are priced at $0.50 each. 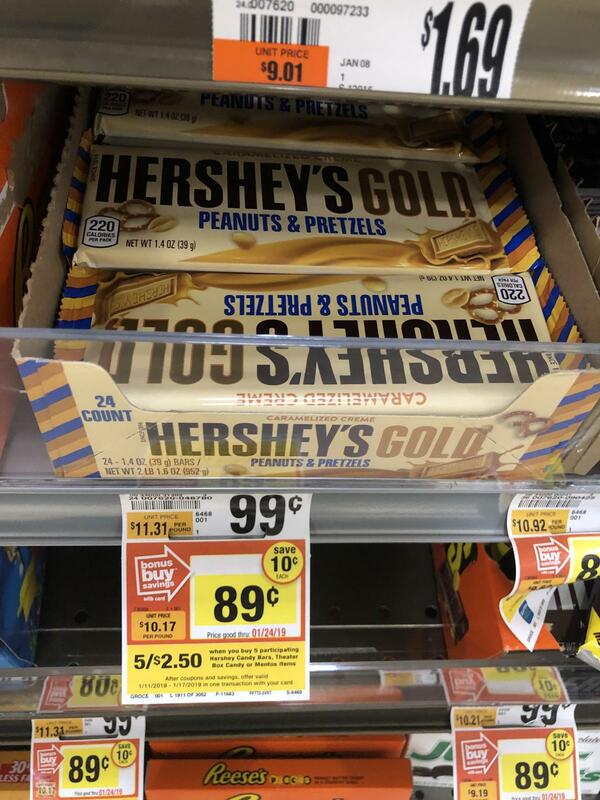 Plus we have a $0.75/2 Hershey’s Gold Bars printable coupon to use on this deal that will make the final price FREE.